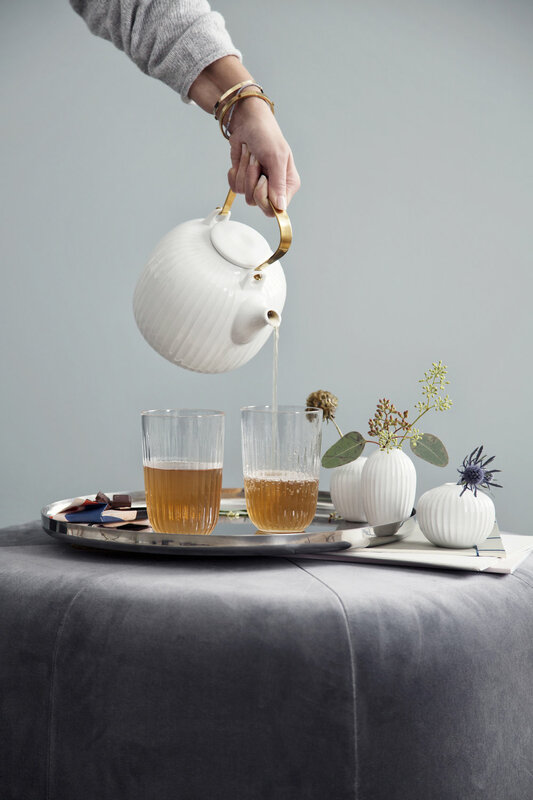 The Hammershøi 1,1L teapot is a classic teapot, with a voluminous shape, a drip free spout and an elegant brass handle. The handle can be detached for cleaning, and the teapot also incorporates an internal tea filter. The teapot received the renowned IF Design Award for good design in 2018.